One of the top names in classical music returns to join IRIS Orchestra in a spectacular celebration of the 250th anniversary of Ludwig van Beethoven’s birth. 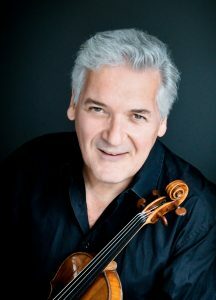 Pinchas Zukerman, renowned violinist, protégé and friend of Isaac Stern, brings the Zukerman Trio for this Beethoven-filled extravaganza. IRIS celebrates Beethoven’s influential legacy with three of the more than 20 enduringly popular works he wrote between 1803 and 1807. This short but abundant chapter of his career showcases why Beethoven was achieving star status in Vienna as a leading figure in the new generation of young composers.